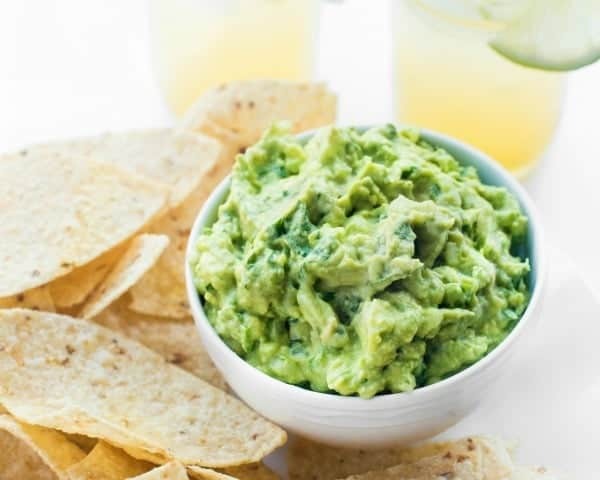 The best guacamole recipe you’ll ever make, this 5-ingredient appetizer is always a crowd pleaser! It’s a little silly, honestly. I’ve been blogging for seven years and this is the first time I’ve shared my go-to guacamole recipe with you all!! Will you forgive me? 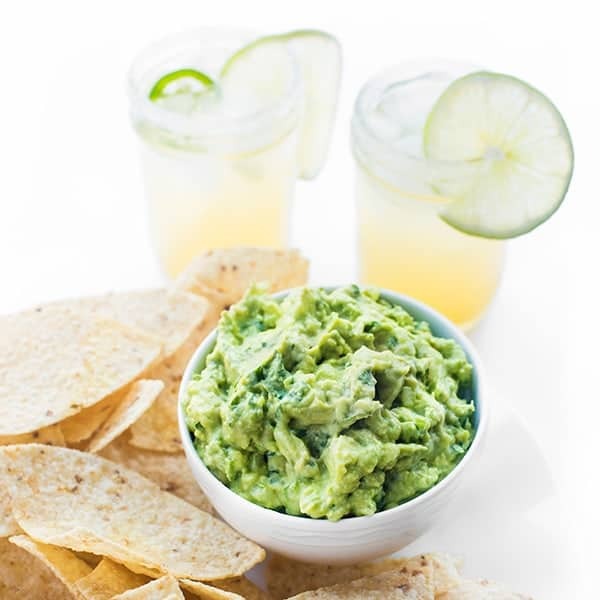 Better yet – will you please make this easy, five-ingredient guacamole recipe immediately? 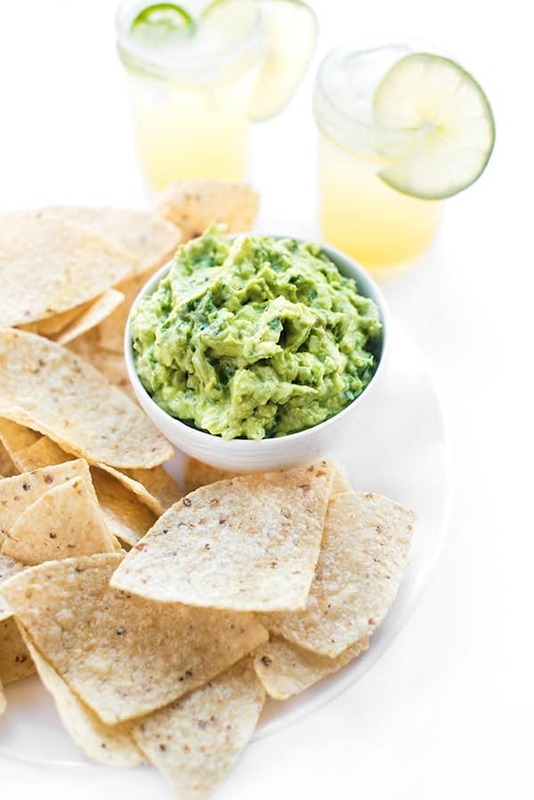 Ideal for a girl’s night in, a healthy after-school snack or as an alternative to mayo in your next wrap, you need this guacamole in your life! Oh and those margaritas in the background? They are tangy, sweet and slightly spicy with a kick of jalapeño. Recipe coming soon. The best guacamole recipe you'll ever make, this 5-ingredient appetizer is always a crowd pleaser! Place all ingredients in a medium bowl and mash until you've reached desired consistency. Check for seasoning and adjust accordingly. 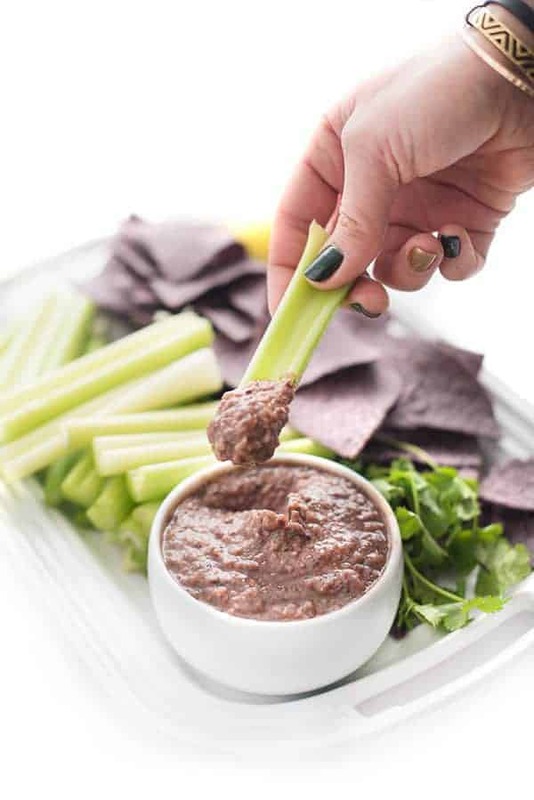 Check out some healthy and easy dinner recipes that would go great with this! 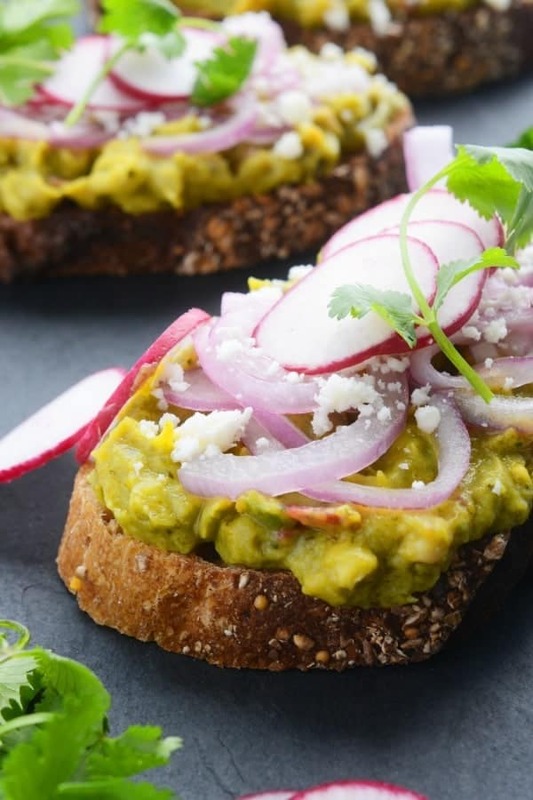 Remy is guacamole obsessed so I will definitely be trying this! Wow! 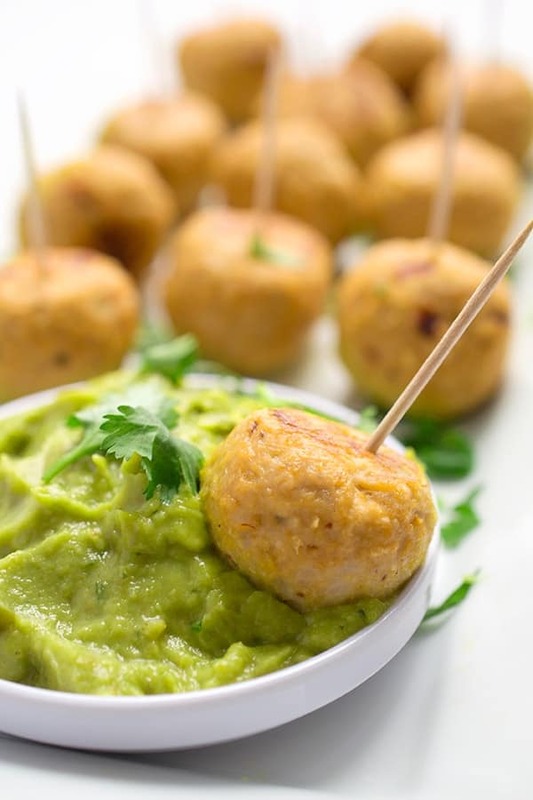 What an easy avocado recipe! Me and my family will definitely love this. Thanks for Sharing..!! Can you believe that my blog is called Athletic Avocado and I’ve never made homemade guac before? That problem is going to be fixed ASAP with this perfect guac recipe! That’s too funny!!! How is that possible? I have been CRAVING some chips and guac! 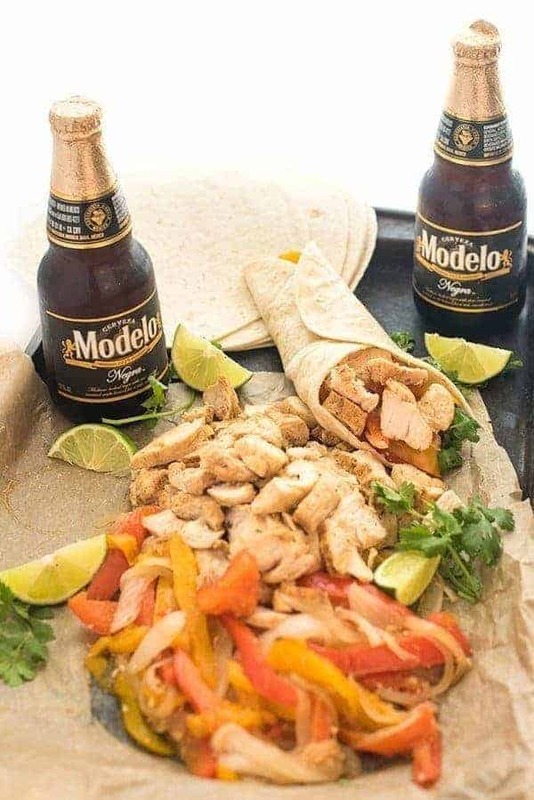 This looks delicious, love making it at home, tastes so fresh! I crave them way too often!